In the last two hours GSPCA Ambulance Driver and Head of Marine Mammals has been out to rescue what is now the third seal pup at the GSPCA. The call came in earlier today when a dog walker spotted a grey seal pup quite high on the rocks at Vazon. On arrival the poorly seal pup was found to have weepy eyes, nose discharge, dehydrated and a number of other injuries on its body and flippers. 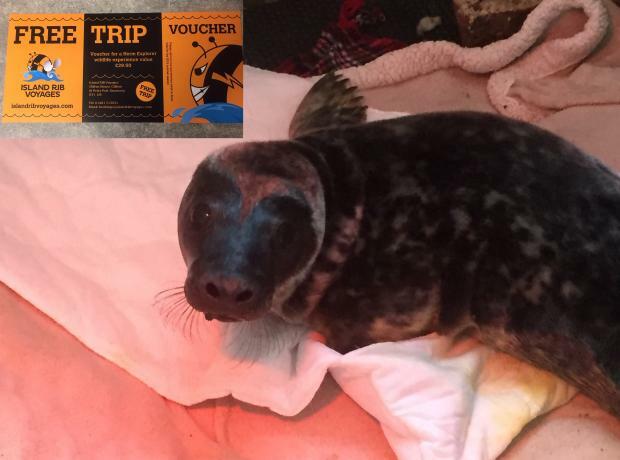 On route to the GSPCA ‘Gully’ as the seal pup was called was taken to the Vetcare Centres where the pup has been dispensed medication and Gully is now safe and warm at the GSPCA. This morning the GSPCA team were called out to rescue a dehydrated, thin, young seal pup from Beaucette Marina. 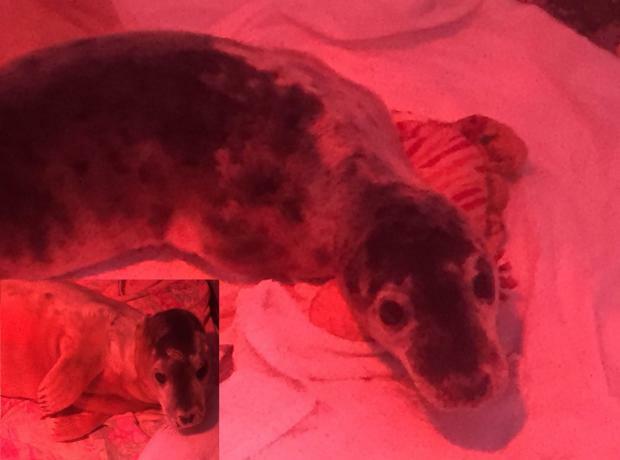 'Temperance' ' as the grey seal pup of just two weeks has been called is the thinnest grey seal pup on record to be rescued by the GSPCA in Guernsey. Spotted on the headland, GSPCA Ambulance Driver and Marine Mammal Carer Geoff George attended to the scene after a call from a member of public. With no mother in site and the poor condition of the young animal Temperance was rescued and has just arrived at the GSPCA. Every Autumn the shores of the Bailiwick see grey seal pups being born, and the GSPCA are issuing advice today to help prepare islanders and those walking our shores. On the weekend we were called out to what was thought to be an injured seal pup, but instead of finding a seal our Ambulance Volunteer Warden Suzy Rose was sadly faced with a dead conger eel that had been washed up. 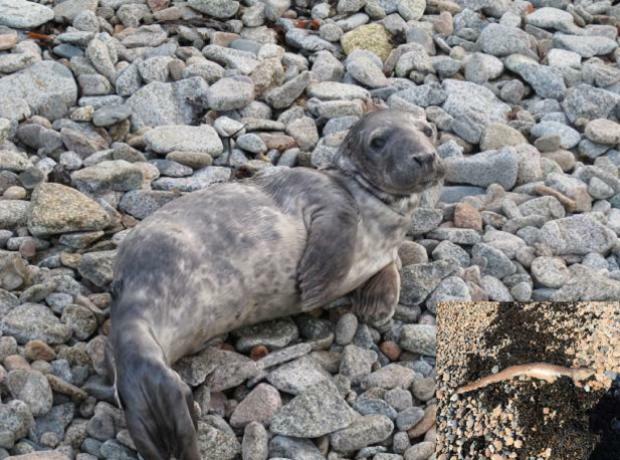 It was reported locally in the media that we had rescued and were caring for a seal pup at the GSPCA, although this is not true as the conger eel that we were called out to had passed away.